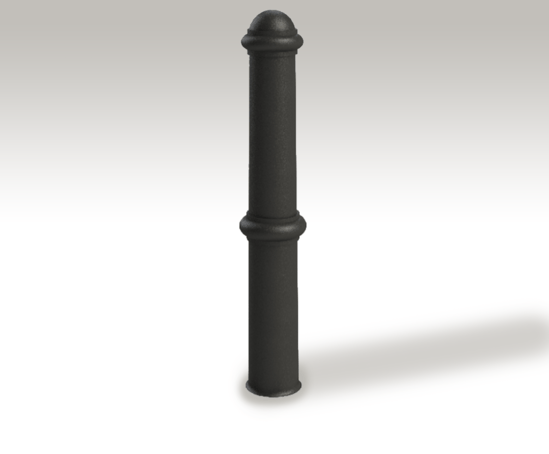 Traditional cast iron bollard. Manufactured from grade 250 cast iron. Supplied in Fixed Version as standard, finished in Williamsons Metal Primer. 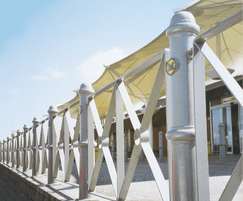 Manufactured from grade 250 cast iron. Supplied in Fixed Version as standard, finished in Williamsons Metal Primer. Removable, Fold Down or Trough Fold Down versions. Dulux Weathershield Rust Resistant Paint System in most BS or RAL colours. 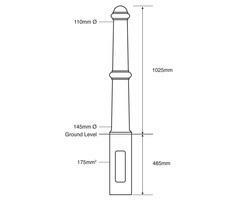 Rings, logos, emblems, coats of arms can be cast on to side of bollards. Reflective bands can be applied in white, red or yellow. Internal Thick Walled Sleeves for additional ram raid resistance. ASF 901RP bollards are manufactured in environmentally impeccable recycled plastic from waste streams, including bottle tops and used agricultural films. No fillers or chlorides.